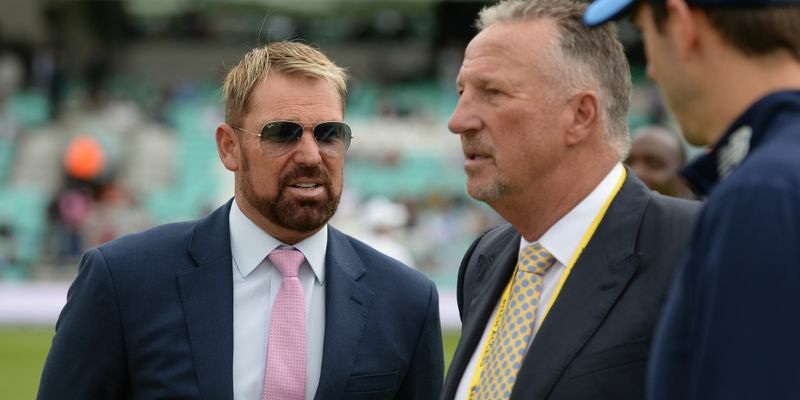 Shane Warne took to Twitter to post his ideal 15-man Australian squad who should be on the flight to England for the 2019 edition of the ICC ODI World Cup which starts on May 30. The leg-spinner has opted to leave out in-form opener Usman Khawaja from his final list, while backing D'Arcy Short. Legendary Australian cricketer and IPL franchise Rajasthan Royals’ mentor Shane Warne is one of the most successful spinners in cricket alongside Sri Lanka’s Muttiah Muralitharan. In a recent post on Twitter, Warne revealed his ideal Australian squad who should be onboard the flight to England for the 2019 ICC ODI World Cup which is scheduled to begin on May 30. Warne opted to include the duo of Steve Smith and David Warner who have spent a year on the sidelines for their role in the ball-tampering scandal in South Africa last year. However, one of the more surprising exclusions from the 15-man squad was that of in-form Australia opener - Usman Khawaja. The RR mentor chose Rajasthan player D’arcy Short ahead of Khawaja despite the latter’s brilliant form in the 2019 season so far. The left-handed batsman has scored 769 runs in 13 matches with an average of 59.15, in the process becoming the joint-fastest Australian to 1,000 ODI runs in 27 innings while Short has been overlooked from the Australia ODI team since November 2018. Australia will play the likes of England and Sri Lanka in the warm-up fixtures before the World Cup on May 25 and 27 and go up against Afghanistan in their opening fixture of the World Cup on June 1. Shane Warne’s Australia World Cup XV: (First XI) David Warner, D’Arcy Short, Aaron Finch, Steve Smith, Glenn Maxwell, Marcus Stoinis, Alex Carey, Pat Cummins, Mitchell Starc, Jhye Richardson, Adam Zampa. (Extras) Shaun Marsh, Nathan Lyon, Ashton Turner, Nathan Coulter-Nile.